– Saute Leeks about 2 mins. until beginning to soften. Add garlic, reduce heat to low and cover with lid. Let cook for 10 mins. stirring occasionally. – Stir in Broccoli, Cauliflower, Cabbage and Chilli and saute a few minutes, adding a little water if needed to prevent sticking. – Once vegetables begin to brown, add Stock until just covering vegetables and leave to simmer about 20-25 mins. (Until cauliflower soft enough to blend). 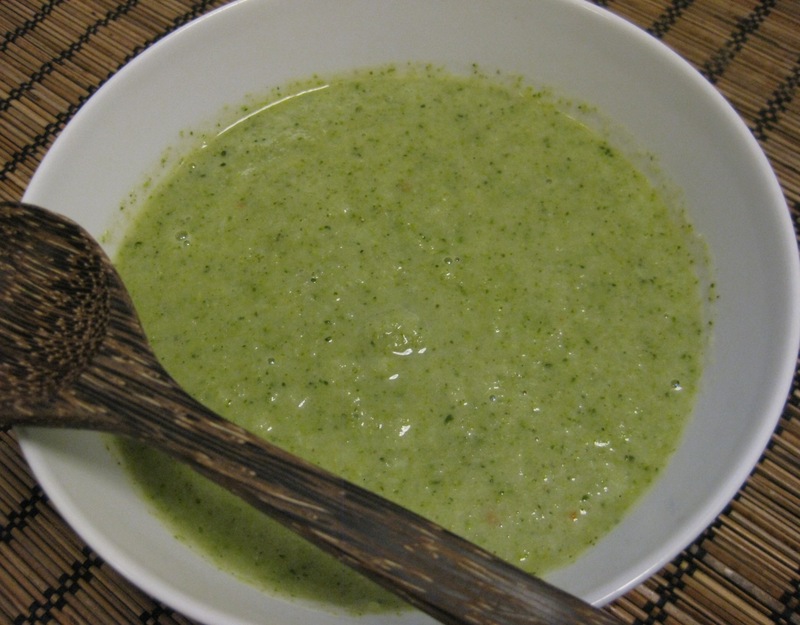 – Use hand blender and blend until smooth (add more stock if Soup too thick, more Broccoli if too watery). Season with Salt and Pepper as desired. i love broccoli and leeks. may have to give this one a go.